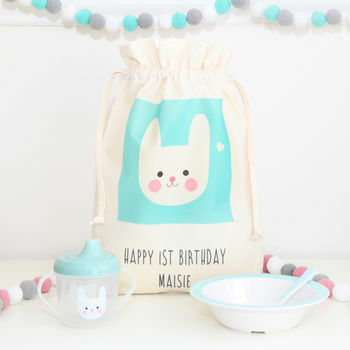 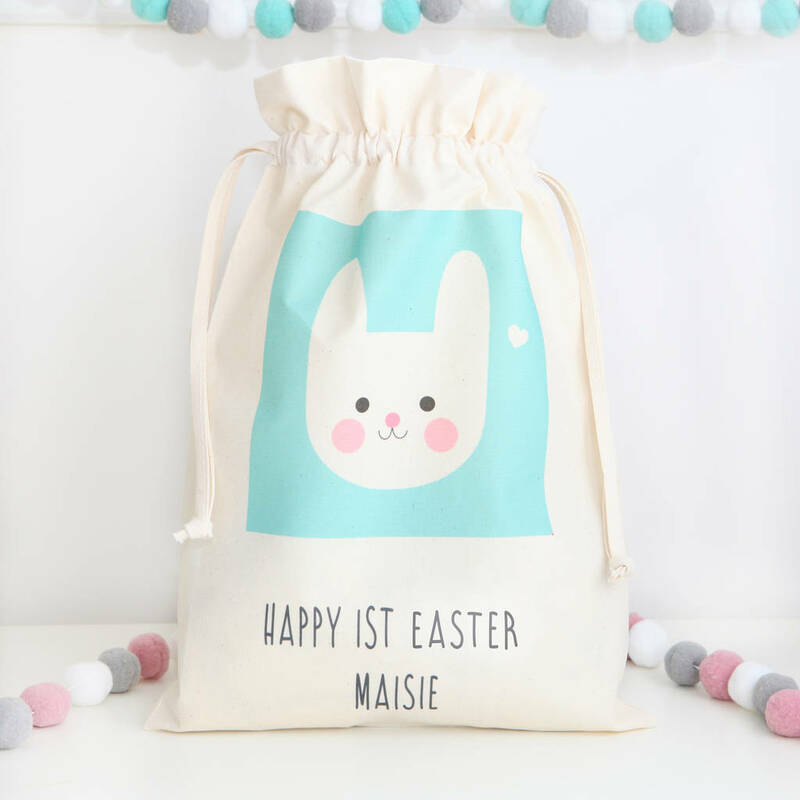 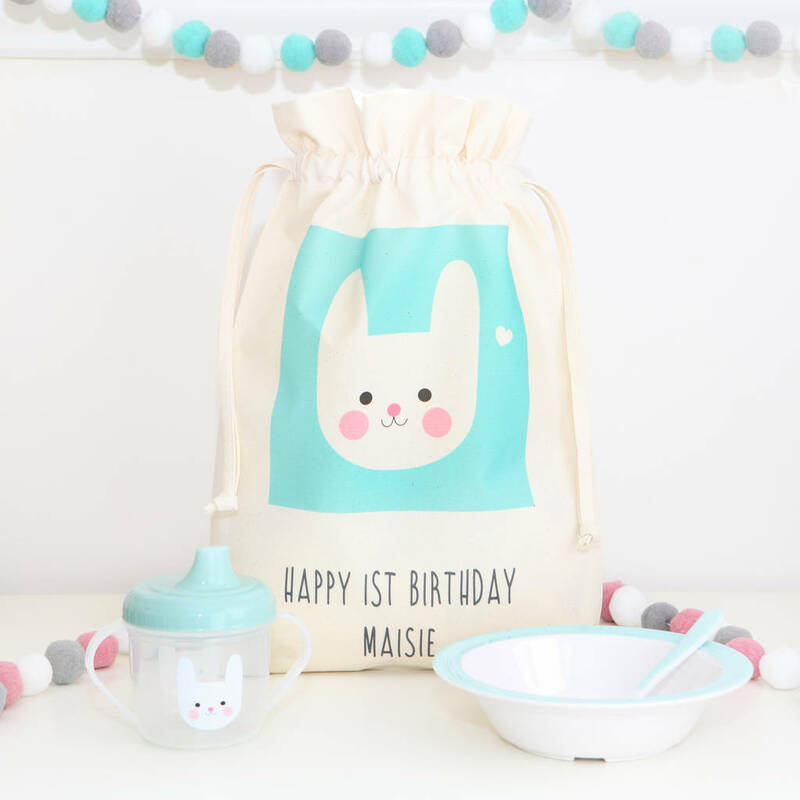 This bunny design childrens breakfast set in its own personalised cotton bag would make a wonderful first Easter gift. 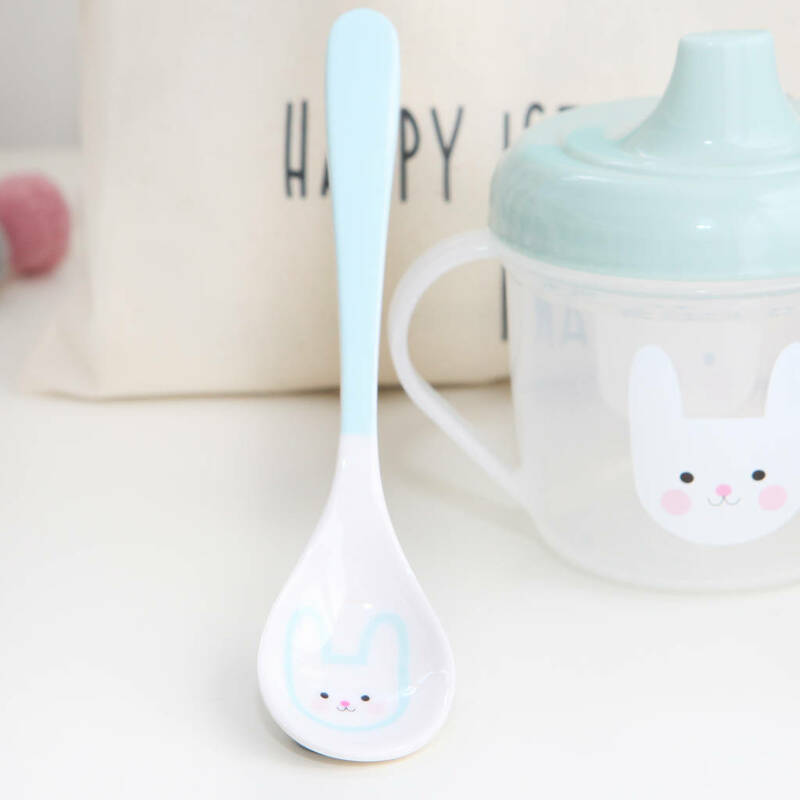 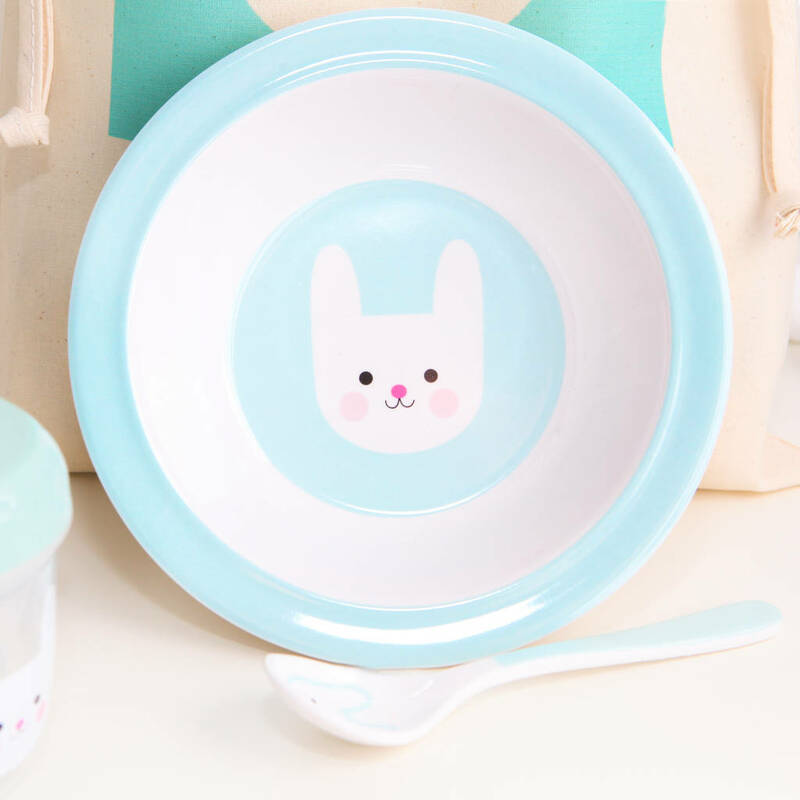 The cute bunny breakfast set contains a melamine bowl, spoon and cup. 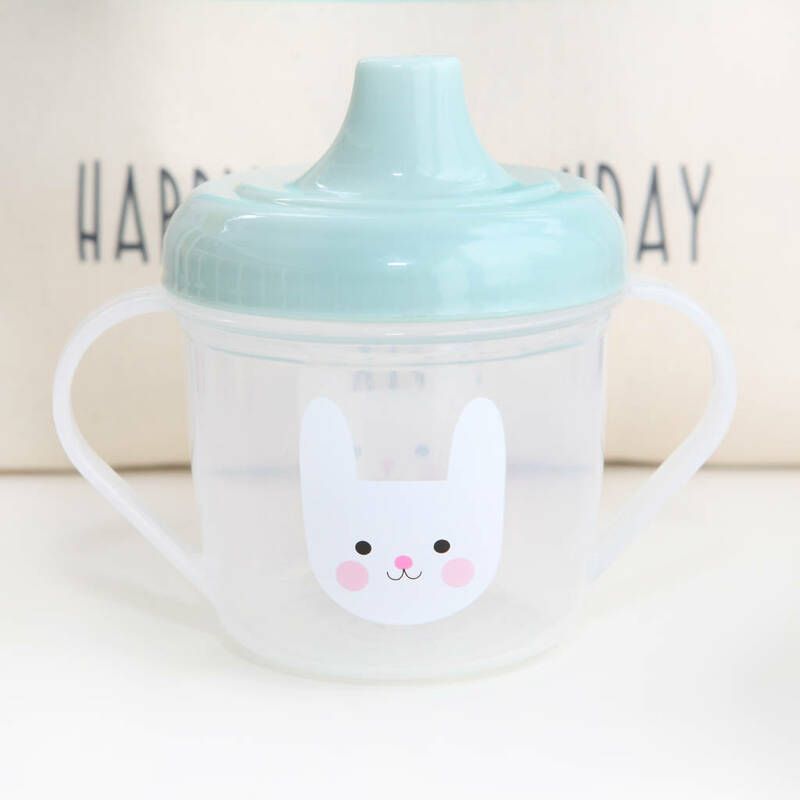 Bunny sippy cup - holds 190ml.